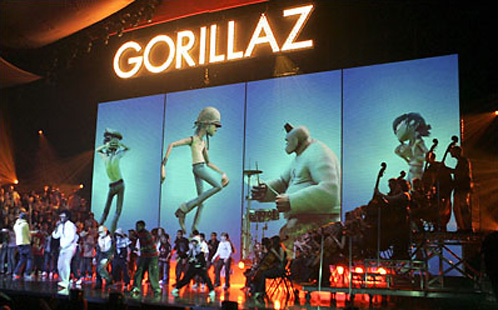 Gorillaz performing at Brit Awards. The performance cost £750,000 to create. Gorillaz were nominated for Best British Group and Best British Album, but lost both. The awards were broadcast on the following day on ITV1. Gorillaz' performance is available on Phase Two: Slowboat To Hades DVD.